Recorded Live at Nutter Center, Dayton, Ohio, USA - July 10, 1996. Very Good+ Audience Recording :: Silver CDs :: MP3 CBR 320 kbps & FLAC. Files: 22. :: Size: 251.43 MB (mp3) | 722 MB (flac). Personnel: Paul Stanley - vocals guitar :: Gene Simmons - vocals bass :: Peter Criss - vocals drums :: Ace Frehley - vocals lead guitar. 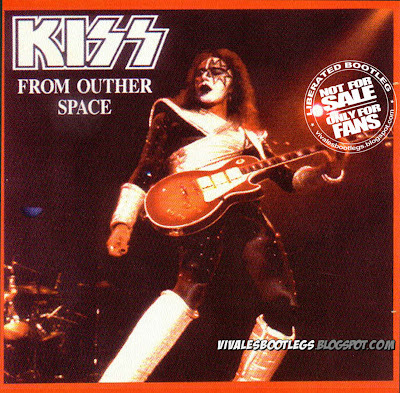 Notes: Kiss " From Outher Space With One Mission " live at the Nutter Center in Dayton Ohio, on jul. 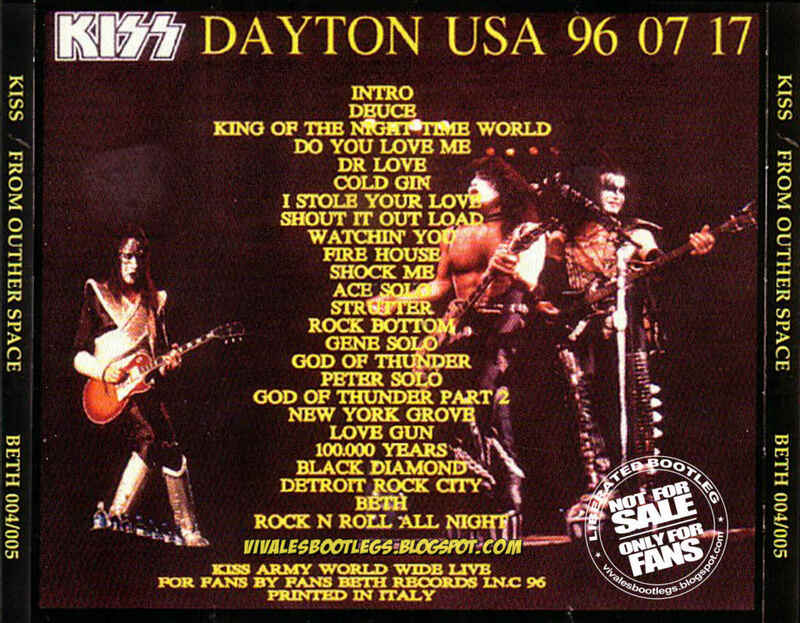 17th 1996 during the Alive Worldwide '96/'97 (reunion tour). Original silver cd by beth records - The quality is A/B. 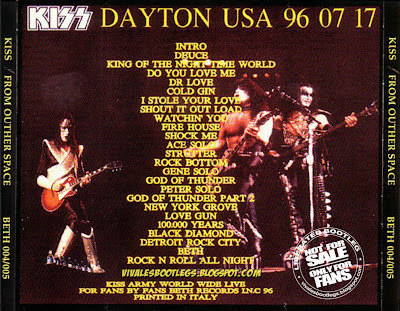 Not a particular show of this tour apart form strutter and rock bottom that were played only in few shows. (Info taken from original info file).